Here at Transmerit Merchant Services, we offer credit card processing for small businesses and work alongside you to develop the best strategy, because each small business operates differently. 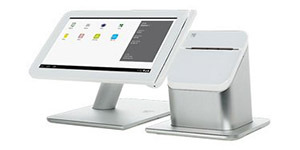 Our goal is to support your small business by offering credit card processing services both in a physical POS system, to make and generate sales, and through our payment gateways and terminals for easier customized payment features. Once you’ve selected the best credit card processing options for your small business, you’re able to make sales and bring forth revenue! 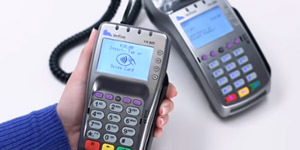 When your business is up and running and accepting credit cards, there is an unfortunate side that must be understood and tackled to protect yourself as a merchant. The topic we’ll touch on today is all about chargebacks. What is a chargeback in credit card processing? A chargeback is a built-in security protocol for the customer if they believe they’ve had improper or fraudulent charges. A chargeback will reverse the transaction in question from the customer’s bank account. Chargebacks have made great strides over the last decade as the credit card industry has implemented protocols reducing merchant chargebacks and their exposure to fraud and identity theft. Reducing and preventing chargebacks as a merchant is something you need to be cautious and attentive to; as it’s an ever evolving concept and process. Be mindful and review your chargebacks at least twice a year. The product is not up to the customer’s standards, or it’s different from what they expected. Their credit card was billed multiple times, creating multiple charges. The customer was billed for the wrong product. They bought eggs and were charged for steak. The customer is unfamiliar with charge and doesn’t recognize the company’s name. The transaction is simply fraudulent. The customer didn’t receive an item that was ordered. If a customer places a chargeback on your small business, this can cost you a great deal of unforeseen money each year. There are, however, strides you can take as a small business to better protect your business from chargebacks and precious, lost sales and revenue. The timeframe a customer can file a chargeback correlates to 120 days from the date the item was purchased. As a small business you have the choice to dispute the chargeback, but if you do, do it as promptly as possible. If, as a merchant, it’s not addressed quickly, the bank will finalize and process the dispute. And the bottom line is you’re left without payment and lost revenue, on top of having to pay an additional fees. Chargebacks can escalate expenses very rapidly. Costs up front: how much do chargebacks cost? If you choose to dispute a customer’s chargeback or not, as a small business you’re responsible for paying all the fees that develop. While this process isn’t quite like a court case, it can get very lengthy, expensive, and drawn out. From an emotional stance, it can be very stressful and taxing on your time and on the time that you could be making money. With that in mind, when the chargeback is initiated, the bank will erase the transaction. Every bank handles chargebacks a little differently, so inquire with them about their protocols and how, if you choose, you should go about disputing it. Through this whole process keep in mind, as a small business, you do not need to additionally refund the customer. The refund is handled completely and solely by the bank. Unfortunately, the statistics on chargebacks aren’t in the merchant’s favor either. It has been reported that for 60 percent of merchants who dispute a chargeback, only 40 percent of them are sided with by the banks. The lesson in it all, be a business who avoids chargebacks in their credit card processing! The first line of defense for chargebacks is always prevention, so educate yourself and your staff members in measures to avoid them. Follow the credit card processing protocol – This is as simple as looking at the credit card for the name and checking the expiration date. The card may also have explicit instructions to check for identification and other such measures. If these things don’t add up, it could be an indication of fraud, and the actual person is likely to dispute all of those charges. 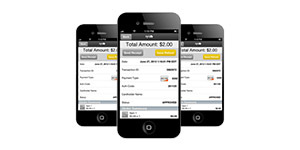 Use a clear and concise payment descriptor – The payment descriptor is what the customer sees on their bank statements. If your descriptors are vague or highly abbreviated, the customer may not recognize the item and submit a chargeback. Customer’s can also become confused when the company and the business names differ. For example, if your company name is Awesome Flowers, LLC and your brick and Mortar store name is Rosie’s Roses, people may not understand the difference. You may easily resolve this issue by making a sign by your POS, or featuring it on your printed receipt. Circle and highlight that section for customers. Provide outstanding customer service – Chargebacks don’t mysteriously show up in the ether, you will clearly see if a customer is disputing a charge. The best course of action, is to reach out (if you’re able) to that customer and dialogue about the issue. Most of the time the chargeback at hand can be dissolved. Organize your records – In keeping good, organized, and complete records you are able to provide documentation hastily, if need be. Or, you can also pull up signed receipts or documents if anything is ever called into question, or a customer is trying to take advantage of the system. Dispute the chargeback – If you’re inclined to dispute the chargeback, you may do so. Remember that each chargeback carries additional fees, and that overtime could damage your business’ reputation. There are chargeback management companies you can contact if you need additional information or require a consultation. 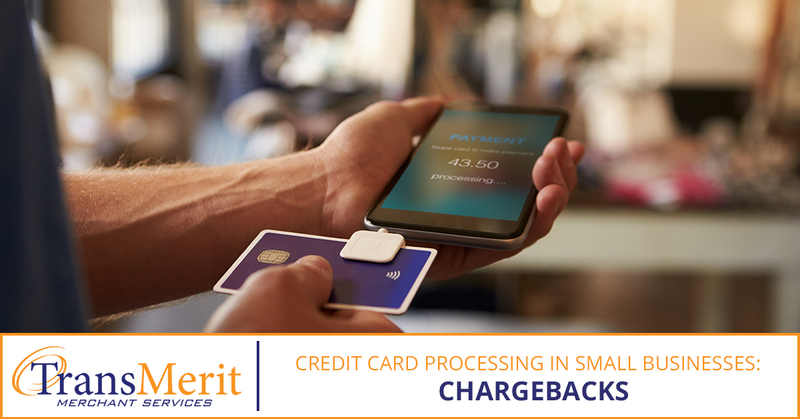 Many responsibilities are tied into owning your own business, and credit card processing for your small business, as we’ve explored, can be get a little complicated with chargebacks. Be proactive and connect with us today at Transmerit Merchant Services. 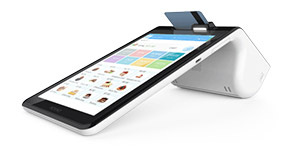 We want to find a solution that works with your business, whether it be credit card processing on a POS system or virtually in a payment terminal or payment gateway.